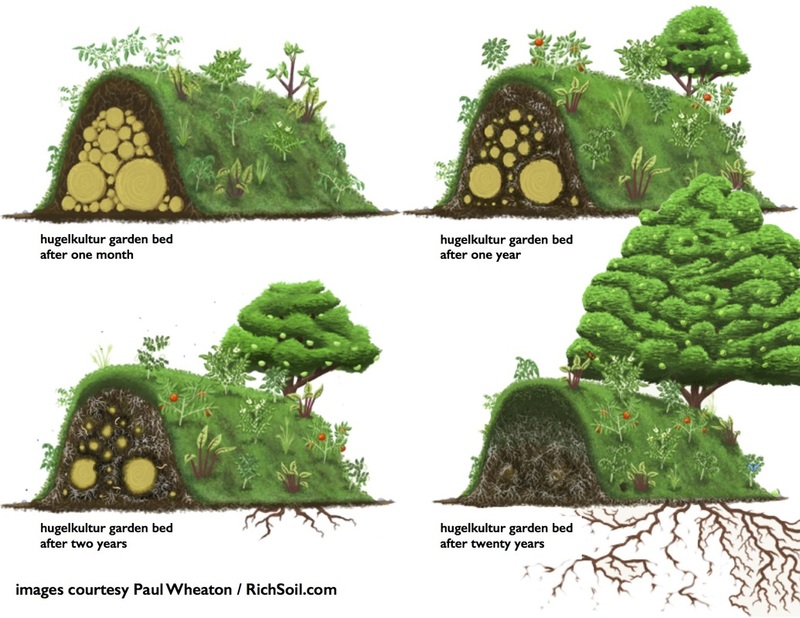 In a stark contrast to conventional farming, permaculture is a low impact agricultural technique that is closest to natural processes. 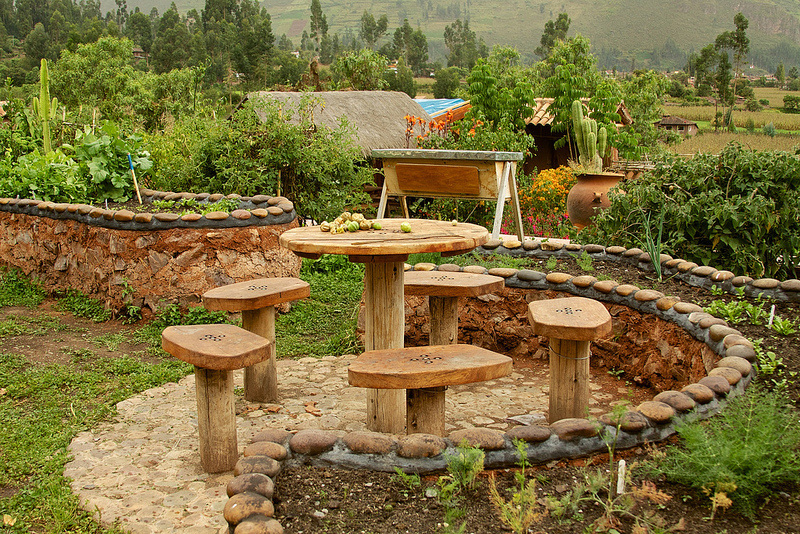 Permaculture puts a large emphasis on biodiversity, building soil, low energy input, and maximum output, it encompasses organic growing methods, but takes sustainability a step further, and is the epitome of symbiotic relationships. The landscape is often contoured to enhance its natural slope to passively capture and store water and nutrient resources in the form of carbon sequestering biomass, and holding ponds. Frequently chickens, ducks, goats, fish and other animals are integrated to exploit their natural abilities to reduce pests, prepare, and fertilize soils. Over the long term, It has been shown that it has the greatest output per unit energy input factor of any agricultural system existing today, and often produces up to double the yield per acre, over conventional mono cropping farming techniques. 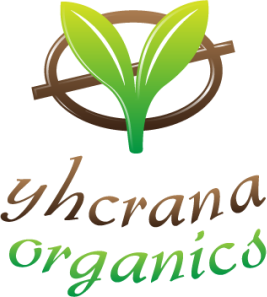 Hydroponics is a method of growing without soil, where the plants are fed by a nutrient rich water supply that is usually pumped to the root zone by various methods. The nutrient solution may be composed of chemical salts with trace minerals, or may be organic in nature. There are many variations of hydroponics including nutrient film technique, ebb & flow, deep water culture, continuous flow, top feed, rotary, aeroponics, and aquaponics. When properly set up and monitored, hydroponically grown plants experience ideal growing conditions and grow rapidly, however, the added complexity in these systems can be unforgiving when inevitable mechanical or electrical failure occurs. Hydroponic systems use much less water than conventional farming techniques. ​Aquaponics is a unique hydroponic method where the nutrient solution is produced organically by fish. In this symbiotic relationship, the plants remove excess nutrients from the water, which is then returned to the fish, cleaned and aerated. To ensure that this system works as intended, one must be careful not to introduce toxins into the system that could kill the fish, therefore toxic pesticides and herbicides cannot be used. In addition, fish waste is a safer alternative to animal manure because fish cannot host pathogens like E. coli and salmonella. Because water is continually circulated through the system, aquaponics uses the least amount of fresh water with no waste water runoff. 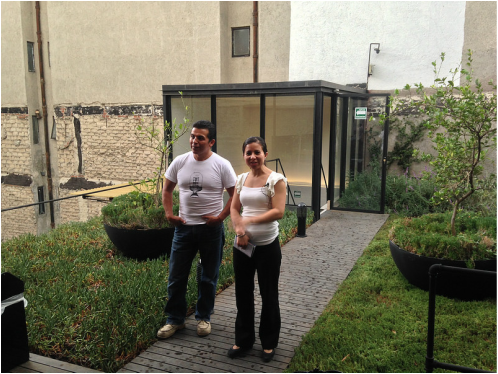 Urban farming is gaining popularity in the re-greening of our cities and urban areas. Empty lots, rooftops, and balcony's are being used to grow food and decorative plants and green walls are becoming more popular, with some architects incorporating green walls and other green spaces in their designs. The net effect is cleaner air, reduced energy consumption, reduced rain runoff that leads to flooding, and reduction of the thermal island effect in cities that can contribute to smog. Municipal planning departments are slowly adopting urban farming but must first revisit the web of zoning bylaws that prevent agriculture in urban areas.